As we gear up for Valentine’s Day and have romance on our minds… I thought I would share this fun movie night again. It’s perfect for families or lovebirds alike! Do you have royal wedding fever? Here's a perfect movie night for this most regal of weekends! In this 1951 film Fred Astaire and Jane Powell play a dancing duo who end up in London at the time of Princess Elizabeth's wedding. Our whole family was just delighted by this movie. It's been years since I had a reason to drag out any of my wedding-themed decor so I was thrilled to see it again! Did you know you can buy rose petals from your grocer's floral department? This was an inexpensive, easy way to make a big impact on our table. You instantly think of a crowd of well wishers showering the bride and groom with petals as they dash off to their honeymoon. Crown dinner plates paired with wedding dessert plates were the perfect combo for this one. Drink charms added an extra touch. This vintage cake topper was a wedding gift of ours. I loved using it as part of the centerpiece. I picked up dinner from a local specialty market which made things both simple and elegant. These little strawberry cakes were a delicious end to our meal. This movie offers amazing dancing (Fred Astaire dances on the walls and ceiling!) and plenty of comedy as well. As with many classic movies, the clothes are divine. 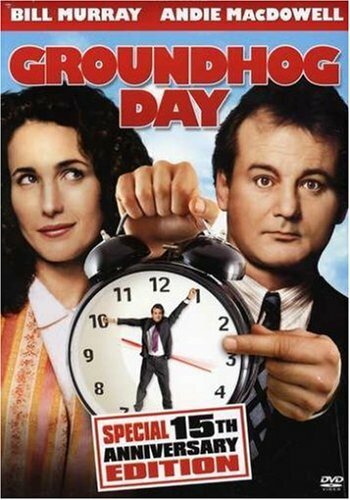 This movie is available on Amazon Prime Video. Best wishes to you for a royally romantic weekend! Halloween with a tropical twist? Yes, please! Hotel Transylvania 3 was a delightfully fun Halloween movie with a dash of summer! In the movie, the crew of monsters and ghouls sets off on a cruise, which made for a unique movie night theme. We pretended we were vacationing and sipped on coconut La Croix with a little pineapple juice which is delicious. For the table, I mixed Halloween pieces with a little nod to the beach! This is perfectly cute and not creepy… which is my favorite way to do Halloween. Pink, purple and teal glitter pumpkins added punches of unexpected color to the mix. 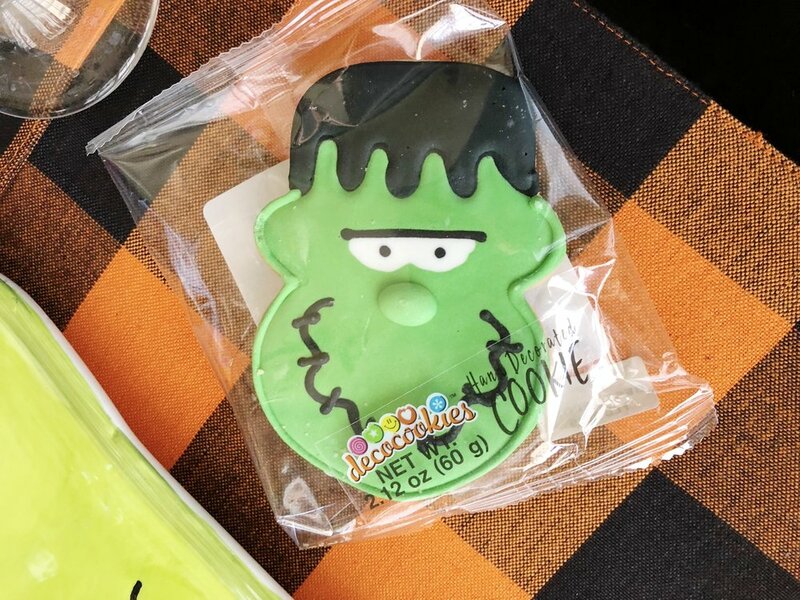 Ghost and Frankenstein cookies were both cute and yummy. This table just makes me smile! I found the plates at Homegoods. I love finding uniquely themed dinner plates - which are harder to find than smaller dessert plates. We all laughed a lot throughout Hotel Transylvania 3 and I know your family will too!